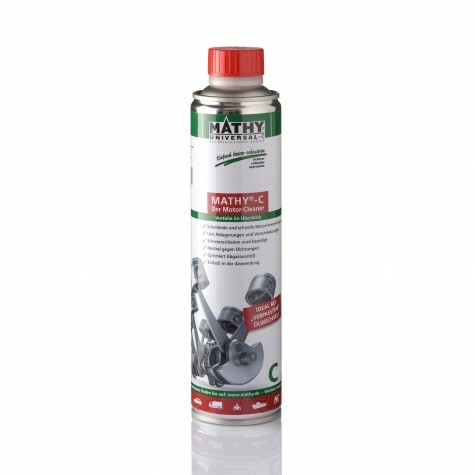 MATHY fuel additives efficiently clean the fuel systems of boat engines. Additionally, they increase their operational safety and economic efficiency. Suitable for all diesel engines, all diesel fuel types, summer / winter diesel, and petrol engines and their fuel types. The combination of active components with cleaning, dispersing, material protecting and cetane increasing properties is tailored to the fast and cost-effective cleaning of deposits. Fuel consumption will be optimized over the long-term and fuel-related downtime of boats will be minimized. 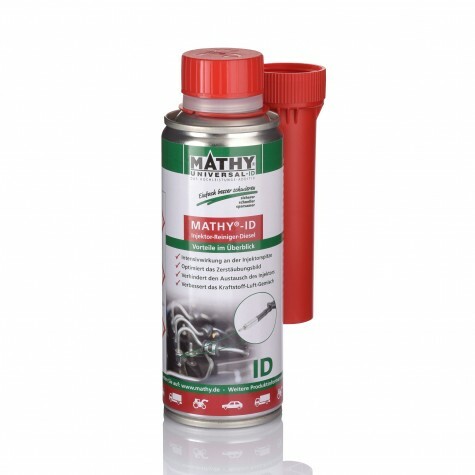 Particularly for diesel engines: MATHY-D counteracts the formation of bacteria in diesel fuel and thus prevents microbiological contamination. Why should boat owners supplement fuel with MATHY-F fuel additive? The addition of MATHY-F to the fuel has a cleaning effect. Impurities that can form in the fuel system are dissolved. By preventing deposits and impurities, the efficiency of the fuel system is maintained in the long run. Condensate forming in the fuel system is emulsified by MATHY-F (incorporated into the fuel). The condensate is thus "burned" via the fuel or discharged from the fuel system. 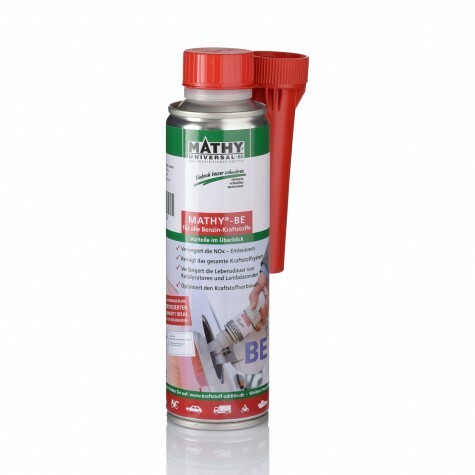 What are boat owners’ practical benefits of using MATHY-F fuel additive? All parts of the fuel supply (lines, carburetors, fuel and injection pumps, injectors) and the fuel tank are cleaned. Dissolved impurities / deposits are removed from the system during the replacement of the fuel filter. Injectors do no longer pollute. Fuel is better utilized since the fuel system can work fully and efficiently again. The starting behavior of the engine is improved. Dosage 1 : 1,000. With each refueling add 50 ml MATHY-F to 50 liters of fuel. 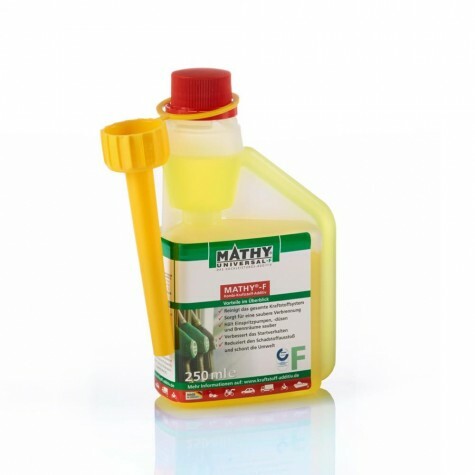 MATHY-F is suitable for all petrol and diesel engines. My boat engine (diesel) runs roughly and starts poorly. Which MATHY-Additive can help? Due to the increased proportion of biofuel in today's diesel fuels, components in contact with fuel and components in the combustion chamber are soiled with impurities. Injectors, valves, and the combustion chamber itself coke over time. 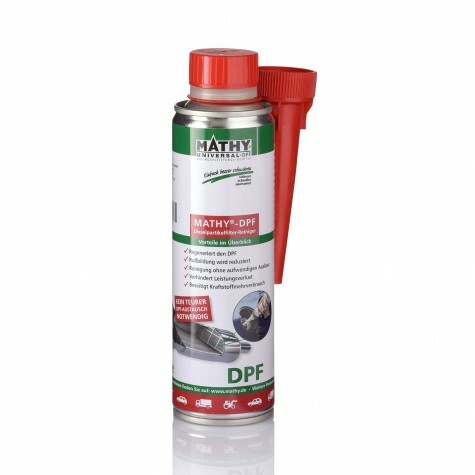 MATHY-D Diesel System Cleaner actively cleans the combustion chamber and successfully reduces coking at the nozzle tips. In the long run, regular use of MATHY-D keeps the diesel system of boat engines clean and trouble-free.